Today I went on a walk from my book Circular Walks On The Tuscany Umbria Border. 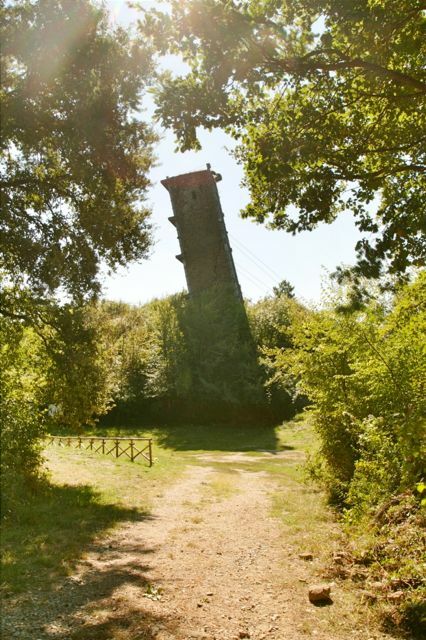 The walk is to the leaning tower of Vernazzano on the north shore of Lake Trasimeno. 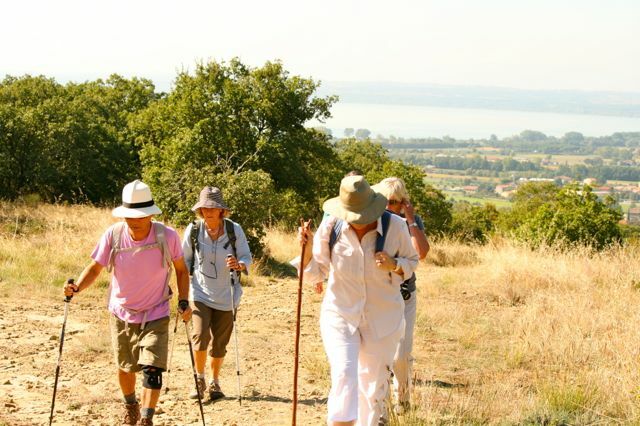 We started off in the town of Tuoro sul Trasimeno and after a few minutes were soon walking through pleasantly mixed countryside comprising woods, olive groves, vineyards and pasture. 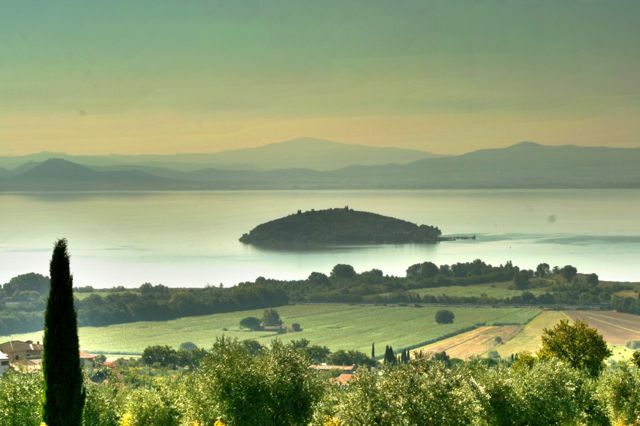 For much of the walk, Lake Trasimeno forms a backdrop to the scenery. At the furthest point of the route we arrived at the Leaning Tower of Vernazzano, it has an incline greater than the campanile at Pisa. The tower started to lean after an earthquake in the the 18th Century. 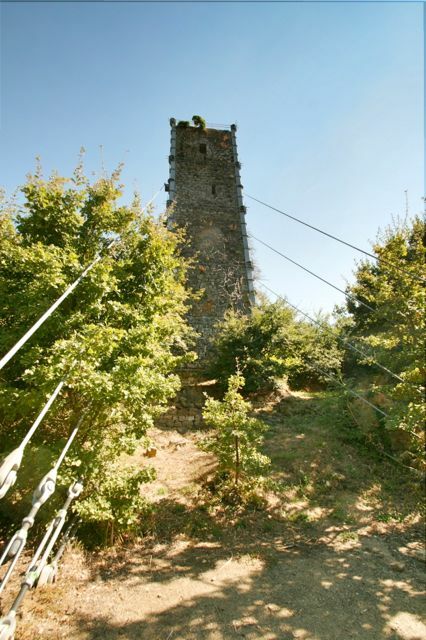 In 2004, cables were fixed to the tower and a large concrete counterweight sunk in the ground nearby. There was once a thriving village around the tower but landslips into the steep ravines on either side meant the settlement was abandoned and rebuilt on the other side of the gorge. The walk takes 2.5 to three hours and is relatively easy. There are two bars in Tuoro were tired walkers can refresh themselves with a cold glass of beer!